Select multiple tasks at once to move them, close them, or reassign them easily. You can also tag multiple tasks at once if you need to. Productive enables you to manage multiple tasks at once. Open your lists of tasks in a project and hover over tasks on the list. You’ll see a checkmark button appear. Put down a checkmark next to tasks you want to do something with. You can check the whole task list if you want to select all the tasks from that list. A dialog box will appear on the bottom of the screen. 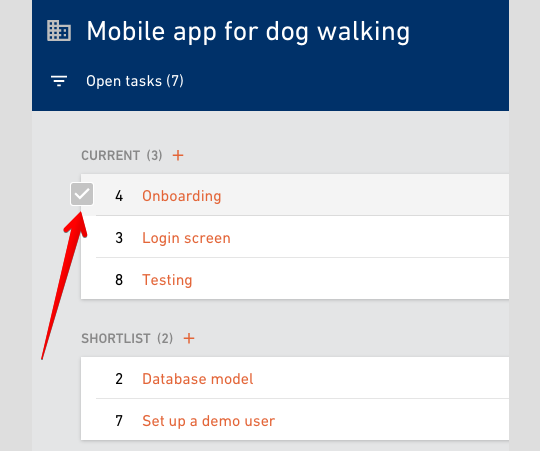 Now you can do *a lot* of things with checked tasks in just few clicks. Want to close them all? Switch the status from Open to Closed. Want to move them all to another task list? Choose the new task list from the menu. Want to reassign all the tasks to someone else? Select that lucky person from the menu. Want to tag them all? Select a tag from the list or add a new one. 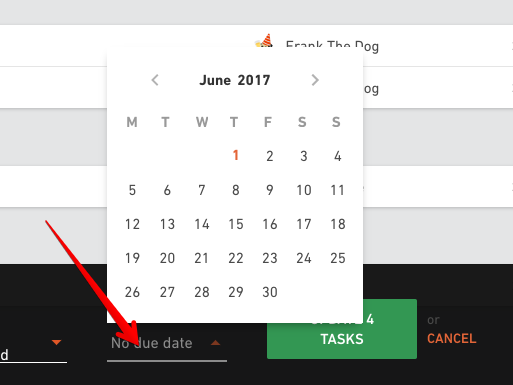 Want to set up a due date? Pick the date from the calendar. Whatever you do, don’t forget to click the Update button.